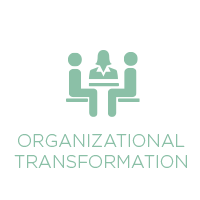 We work with leaders, companies and organizations focused on increasing organizational capacity by bringing people together in dialogue, and offering skill development and tools for effective collaboration, to co-create the very best ideas—ideas to enhance existing systems and generate new ones. We also specialize in cross-industry capabilities such as strategic services, analytics and customer solutions. Successful non-profits share certain characteristics. They have strong and accountable leaders that inspire their team and communities, as well as motivated staff or volunteers and experienced, and engaged boards of directors. Global Ase focuses on working in partnership with an organization’s governing team to identify leadership at all levels of the company, and incorporating and sharing systems for successful outcomes. 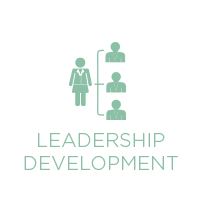 We support leaders in strengthening their skills by understanding their unique leadership style while considering approaches that work best for their team, always keeping the organization’s core values at the forefront of the process. In socially transformative initiatives, executives and management typically want to help change organizations for the better. That’s a tall order. Often leaders are faced with a challenge of finding the balance between being of service and being healthy, while planning accurately, monitoring effectively and evaluating outcomes authentically. Global Ase works to support executives and managers in building strategies for reflective and reflexive learning, accountable and transparent leadership, and where appropriate the ability to explore the benefits of an equitable and democratized environment. Global Ase also has a particular focus on women executives and managers who are often faced with style choices as workingwomen, whether in the public eye or at the head of an institution, women are typically faced with supporting a male centered organizational culture, versus integrating feminine principles into organizational structures and visioning. Global Ase provides coaching in an environment that is mindful of distinctions in leadership styles. Balance is necessary for every executive; Global Ase goes one step further in coaching to support women and men in creating roads to being well balanced, while continuing to achieve optimum excellent results. 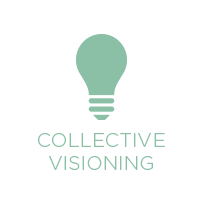 Collective visioning ensures that successful solutions are designed to create pathways toward community transformation respecting every contribution. Specifically, the understanding that solutions come directly from the community is key in working toward social transformation. Our team supports leadership in understanding how to open pathways for a democratized and inclusive process. Global Ase provides the necessary coaching and support to implement such solutions, which are more sustainable when owned by the community members we seek to serve. At Global Ase, we encourage leadership to incorporate the voices of the communities we enter, equalizing the governance process, ensuring access for individuals to thoughtfully design and contribute to their own outcomes. Working with the areas of non-profit excellence, Global Ase enables organizations to begin charting a course for improved operations and management. Global Ase uses the following areas to create pathways to appropriate solutions for organizational transformation. Global Ase provides program, board, staff and organizational evaluation. 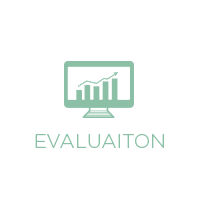 We believe that if the community and organization collaborate in designing the evaluation, it can be a streamlined, appropriate and rewarding process. We provide organizational needs assessment engaging all levels of the company to ensure an inclusive approach. Staff members for socially transformative organizations are typically engrossed in the making of “a better world,” leaving little time for anything else. Because most Non-Governmental & Non Profit Organizations operate with limited staff and resources (no mater the size), they rarely see all of their accomplishments, due to the intensity and workload. We assist organizations and leaders in developing tools to easily recognize many of the short, mid and long-term outcomes that often go un-noted. Reflective learning is a strong tenet for Global Ase’s work in achieving desired outcomes. Assisting organizations in determining which systems are most appropriate for tracking their progress and achieving outcomes is a focus area we ensure is integrated in all of our projects. 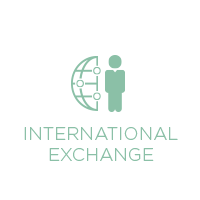 In our International Exchange and Studies, we offer travelers and their families the invaluable opportunity to fully immerse in the cultures they visit and establish relationships with an international community of peers. Enjoying the landscape of the destination country by bus or by bike, travelers learn first-hand about a culture. By embarking on a two-week trip to a country where African descendants make their home, we visit ecological efforts, social ventures, and educational, civic and cultural leaders. What makes Global Ase’s tours unique is the access to areas not usually accessible to the public giving travelers a creative way to learn, exchange, and collaborate with some of the world’s most inspiring and often invisible communities. At the completion of the tour, travelers have the opportunity to participate in exciting and engaging musical events designed to raise funds for a local youth or community organization. Prior to trip, participants are encouraged to attend Global Ase’s educational workshops about cultures of the countries they plan to visit. This offering is often coined “the cultural tour with a purpose.” Past trips have included visits countries such as: Brazil, Cuba, Egypt, Ghana, Ethiopia, South Africa, Jamaica and Senegal for 20-150 travelers each trip! 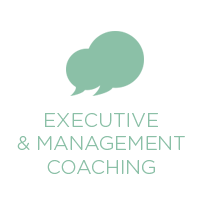 Book your consultation meeting today! We look forward to connecting with you in person or via video conference!